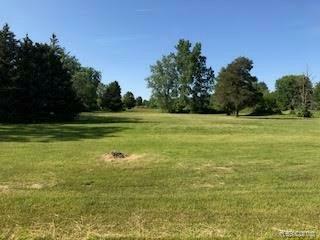 BUILD YOUR BEAUTIFUL DREAM HOME ON A PERFECTLY LOCATED 1.35 ACRE LOT WITH GREAT VIEWS OF LEANING TREE GOLF COURSE. JUST A FEW HUNDRED FEET FROM A PAVED ROAD! WELL AND SEPTIC ARE NEEDED. PROPERTY HAS NOT BEEN PERK TESTED. PICTURE WAS TAKEN FROM CORNER OF PALMS AND SMITHS CREEK RD. I CALLED SEMCO ENERGY THERE IS NATURAL GAS AT SMITHS CREEK RD. SELLER HAS THESE LOTS PRICED TO SELL!! !